$10 until March 31, $25 April 1 to 22. Registration closes on April 23 or when rider registration reaches capacity. No day-of registration. Welcome to the Easton PMC Kids Ride! Thank you for all you do to help to bring us closer to finding cures for all cancers by raising funds for research and treatment! All riders, volunteers, schools, and town supporters and community sponsors are essential to the success of the PMC Kids Ride! In 2018, our community of 350+ riders and 100+ volunteers and supporters raised $57,000! A gift of hope! With your help, we will meet Easton PMC Kids Ride’s 2019 goal of raising $60,000 to benefit the work of the Dana-Farber Cancer Institute’s Jimmy Fund. 100 percent of rider-raised dollars benefit research, treatment and care for children and families impacted by cancer. 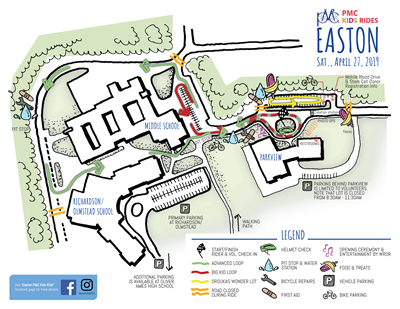 Download the flyer for all 2019 Easton PMC Kids Ride event details. Register early! PRE-REGISTRATION IS REQUIRED before April 23! Registration closes evening of April 22 or at rider capacity. There is no rain date. If weather is questionable, an update will be posted online. Please also check for email updates. 9 - 11:30 am – Activities including face painting, bike decorating, card making, raffles and more! When you arrive, park your bike, get your helmet checked (required!) and then visit Creation Station for some face painting, tattoos, bike decorating, and card making to bring cheer to current Jimmy Fund patients. Riders may also sign a large banner with names of those that they ride for and can put a picture of their loved on one this banner. Enjoy entertainment with WROR and treats and games from YASSO and our generous sponsors! Amazing photo opportunities 🙂 use #PMCkids2019. Also, be sure to visit alumni riders and volunteers from the annual PMC ride that is held the first weekend in August to answer questions about getting more involved in PMC. And don't forget to take your chance at exciting raffles! Sign-up to donate blood aboard the DFCI/Brigham & Women's Hospital Blood Mobile which will be parked at the Parkview School lot. Appointments will be available 7:30 am to 1 pm. PARKING: Bike parking is onsite. 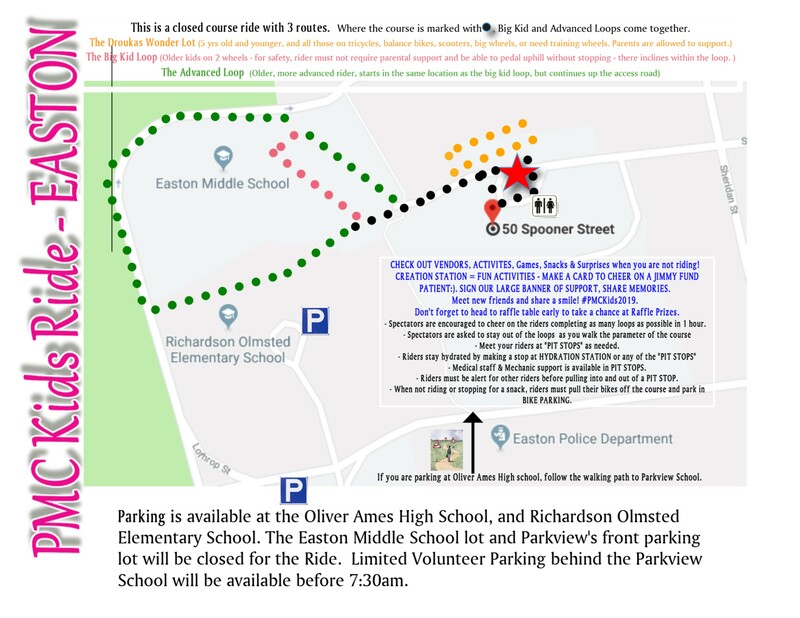 If you are not going to "ride” over, PLEASE PARK AT OLIVER AMES HIGH SCHOOL OR RICHARDSON OLMSTEAD SCHOOL AND WALK OVER TO PARKVIEW. THERE WILL BE NO PARKING ON SPOONER ST, AT PARKVIEW OR EASTON MIDDLE SCHOOL. The Parkview back lot is open for volunteer parking however note that the lot will not be accessible from about 8:30 to 11:30 am. 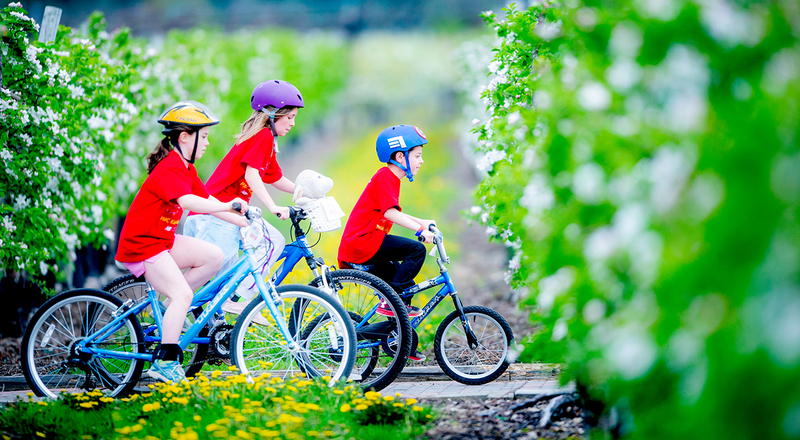 Choose one of three (3) bike courses based on child’s age and ability. Check out the Route Map for more information as well! Please be sure to register for the appropriate route or Virtual Rider category. Droukas Wonder Lot – A contained course in FRONT of Parkview in the front parking lot for anyone 5 years old and younger, and all those on tricycles, balance bikes, scooters, big wheels, and those needing support with their training wheels. Parents are allowed on this course to support their riders. ALL RIDERS WHO ARE 5 YEARS OLD AND YOUNGER MUST BE IN THIS LOT FOR SAFETY REASONS. PLEASE REGISTER THEM ACCORDINGLY TO HELP US HAVE A SAFE RIDE FOR ALL RIDERS. Big Kid Loop – Older students on 2 wheels and 2 wheels with training wheels will ride up Spooner Street, taking a right through Middle School parking lot, circling around the lot and coming down Spooner Street, turning right into the drop off loop in front of Parkview and coming out of the frontloop and going to the left back up Spooner towards the Middle School. They may repeat loop as many times in an hour as they like. Must be 6 years or older and only traditional bikes with wheels and pedals are allowed. Parents are not allowed on this course. Advanced Loop – For older, more advanced riders, who will start in the same location as the big kid loop, but continue up the access road and take a left in between the middle school and R/O, and a left down the bike path, rejoining riders down Spooner St., and repeating as many times in an hour as they like. Parents are not allowed on this course. Virtual Rider – This category is for riders who would still like to participate but cannot physically be at the ride. These riders may ride on their own time and at their own pace. These riders may also have a rider bag including t-shirt. VIRTUAL RIDER CATEGORY IS AVAILABLE FOR YOUNG RIDERS WHO WOULD LIKE TO PARTICIPATE BUT CANNOT PHYSICALLY BE AT THE RIDE ON APRIL 27. 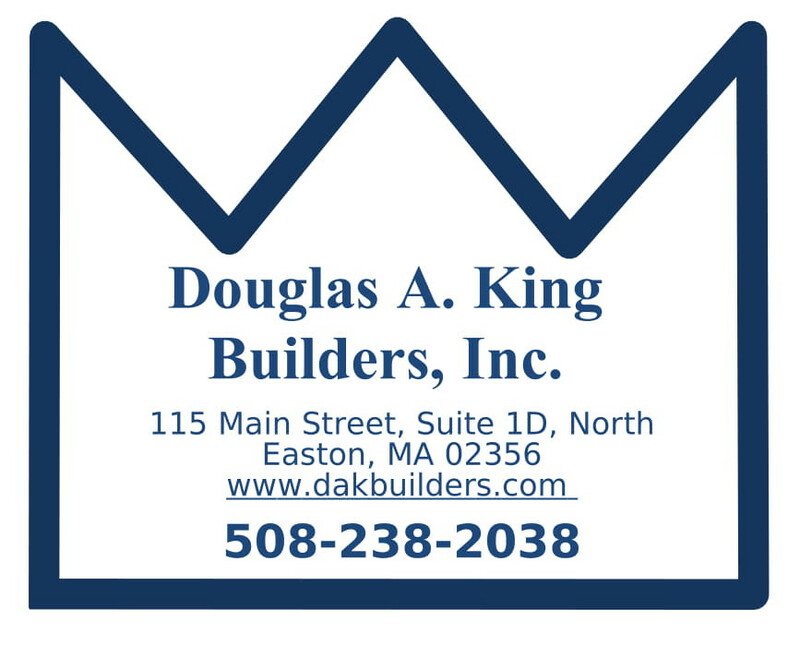 Thank you to all our 2019 Easton PMC Kids Rides Sponsors & Supporters! Easton PMC Kids Ride sponsors help make this a fun community event each year and allow us to maximize our fundraising potential with 100% of rider-raised dollars benefiting pediatric and adult patient care and cancer research at Dana-Farber Cancer Institute through The Jimmy Fund. Please contact Julie Paquin at 4julies@gmail.com if you have questions about how your business can support this fundraiser, bringing together community to celebrate. Together we will meet our 2019 fundraising goal. Join us as sponsor and help us to break our donation record in 2019! We appreciate all our Easton PMC Kids Ride sponsors and community supporters who help make this a fun community event each year while raising money for pediatric and adult patient care and cancer research at Dana-Farber Cancer Institute through The Jimmy Fund. THANK YOU! We cannot do this without Community Support and Sponsorships!